Join us for a casual online meeting with other people who care about teaching and learning mathematics. 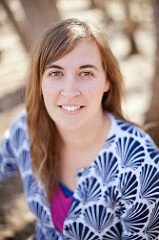 Emily’s pursuit of professional teaching began at Brigham Young University in its Mathematics Education program. Emily values deep, conceptual understanding of math focused on discovery, problem solving and critical thinking. 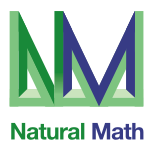 Emily and her husband Joe founded Math Inspirations project for mentoring and empowering young children and their parents in their studies of mathematics. Emily is living her dream of being a mom to two amazing little girls and empowering students and families across the country. Mathematician John Wesley Young said, “It is clear that the chief end of mathematical study must be to make the students think.” Opportunities to struggle with difficult questions create unique critical thinking skills, and build students’ ability and confidence to attack and solve any problem they face. They learn that they can be self-reliant, and don’t need to be told how to do something in order to accomplish a task. The right math experience is challenging, purposeful, and fun, while meeting your unique, individual goals and aspirations. Math Inspirations exists to teach students and parents to take ownership of their math experience and empower them with a system to make their efforts fruitful. Engaging math games, true discovery-based, process, and concept-driven math, combined with asking the right questions at the right times, is the recipe for taking back math.